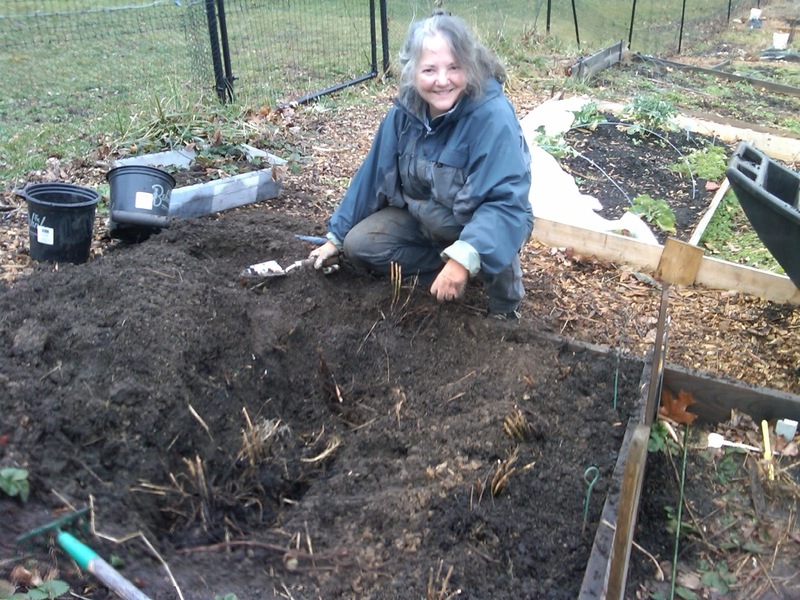 Community gardeners forget that we are renting our land. It was with considerable shock that I got the news on January 23rd that a playground was going to occupy a part of our community garden. How could this happen without our knowledge? The next day a partial explanation was put forward by the leadership of the resident community association—it had been part of a County Master Plan since 2000. 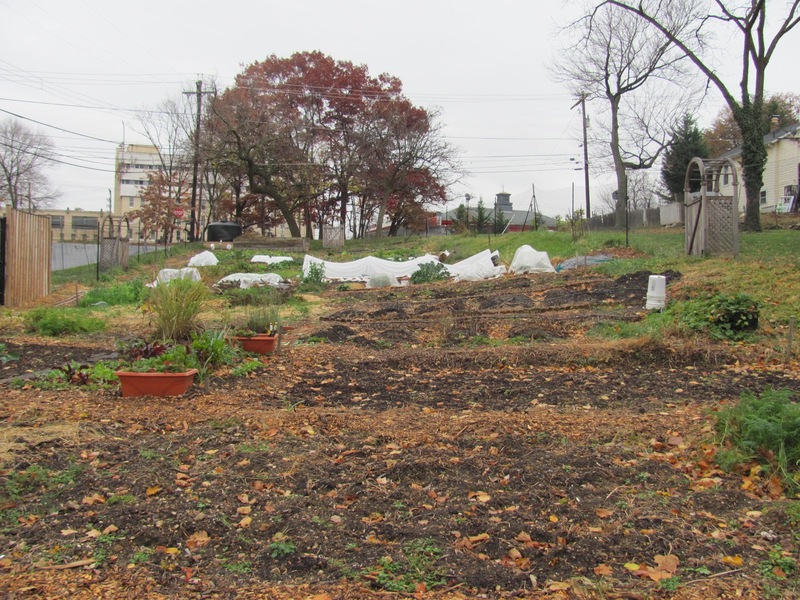 Never mind that it is 2013, and that a community garden now exists there. Other sites were deemed not available. Ours, though occupied, is considered to be “available” because of the Master Plan, which foresaw a play ground back when community gardens were not being discussed. The Master Plan, like many plans which claim to think into and address needs of the future, actually only represents the thinking at the time. Taking up the offer then to move out of my “at risk” #26 plot to another safe one that had become available for new gardeners, is the focus of this blog. #26 was not my first plot. Back in 2009 I started with my first 200 square feet (#12) often speaking of it as “land” rather than a “plot,” because it seemed like so much space—I felt I could grow everything imaginable and have extra. It didn’t take very long for me to realize I should have exercised the option to get a 400 sq. ft. plot. Around mid-season #26 became available due to negligence and desertion. It was offered to an existing gardener by lottery and I won. Today, they have become simply 12 and 26, as though they are part of my family. 26 was not as good as 12, and over the subsequent three years, it never really reached the quality of 12. Being on the low end of the hill, it was also subject to flooding. Last Fall, I decided I would do something about this. I brought wood from a construction project at home and personally built walls around the entire perimeter using stakes and a hammer—my first construction project. 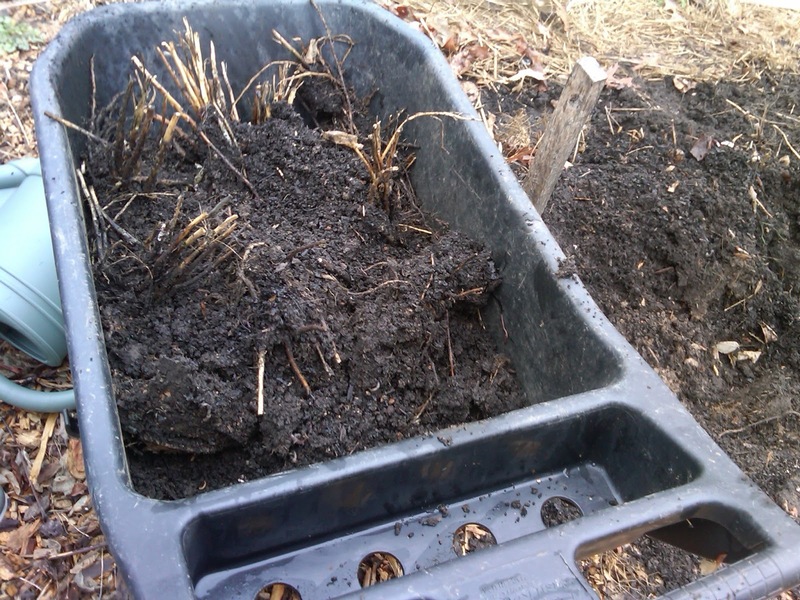 Then I brought six wheelbarrows full of compost and dumped them on the beds, then topped with straw. 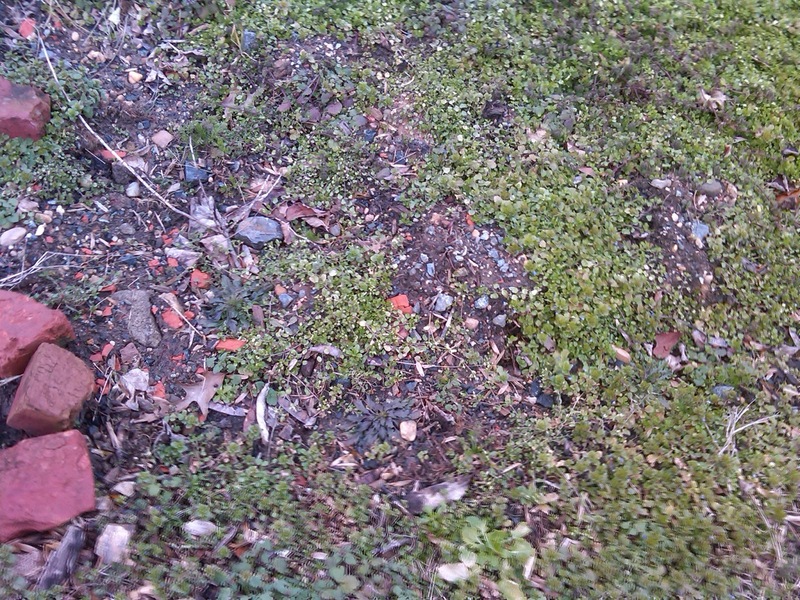 Even I was unprepared for the black gold I found there this week, after deciding to move. Too late for regrets, I thought. I had my friend with me. She had come to help me move the asparagus, so we began there. Beautiful clumps emerged from deep under the dark soil. Even that deep, the soil looked amazing. Neat clumps of asparagus were ready to be moved out of 26 on to the new plot. How we thought we might get the new plot ready for asparagus is unimaginable. Though previously gardened (we found some radish), the new plot, 19, was covered with a thick mat of weeds. No problem, we were ready to dig. What we were not ready for was the huge quantity of rocks underneath. Soon we realized we would not be able to do it in the three days I have to empty out 26. So we went up to 12, my first plot, and created space for the asparagus there. Soon we had it all in the ground. Back at 12, there was greater comfort, like being home. My 12 was a breeze to dig through. 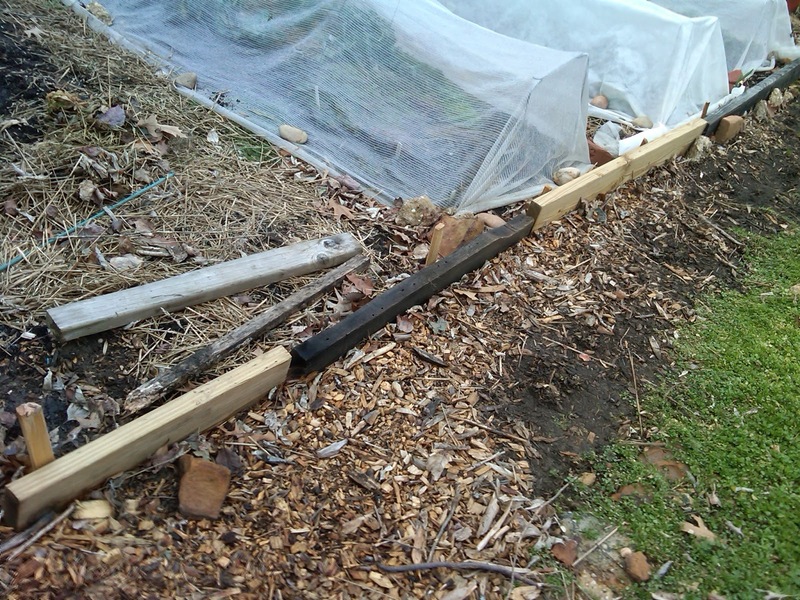 This particular bed, an extension of 12 on to the previously weedy hillside, was an experiment in lasagna gardening. I didn’t believe it when I read about it, but you can see how good the soil looks just two years later. With that done and a lunch break, I returned to move the garlic. This required more daring; unlike the asparagus, the garlic was not dormant. Yet again, digging into 26 by myself this time, I worked methodically focusing on removing one row at a time, first the Inchelium Red (by now following the label as I’ve forgotten what type of garlic this is), and then the Spanish Roja…the soil emerged continuously beautiful. The trench left by each row being dug was accompanied by a strange sadness—26 seemed alive and made alive by the plants in it. As I started to extract them, I knew I would not take away all of it. I would leave some for 26. Eventually all the garlic was gently moved up to the last bit of available space on 12. Back to my new home, 19, I continued digging where my friend had started earlier. I’ve always loved the digging part of gardening, but this was tough – not one insertion of shovel would willingly go through the earth without hitting rock. Nearly an hour later, only the equivalent of one small bed was done. Resting and taking a closer look as evening approached, 19 revealed additional challenging details. I began to wonder about the move to a new plot. What I would give for a sunny plot in my backyard! Tomorrow, I will still have to deal with the rest of the stuff on 26—carrots, spinach, lettuce, emerging kale and lettuce, chard, celery, mustard, broccoli, cabbage, tulips, anemonies and half finished onions…maybe more. It will have to be moved out. For this day, I was done. No sooner had I gotten home than I realized I was in pain, elbow pain, shoulder pain, back pain…a good evening for a brandy and rest. Of course, I had already missed a whole day of work! My heart goes out to you, Rani. May your pain — physical and emotional — subside quickly. May the asparagus and the garlic and the remaining plants make a smooth transition. I would be devastated to be forced off a garden space I had worked hard to improve. Thanks for sharing your adventure Rani. You have true grit and a joyful gardener's heart.